The first half of 2017 saw the Home Builders Association of Greater Chicago come out throwing punches. The events and line up of dynamic speakers and successful business owners provided a wealth of knowledge to those of us in the industry looking to grow. The second half of the year appears to be ready to rock the socks off of the Chicago area with another stacked line up of events. Our 2nd half of the year programs are focused on interaction, entertainment, and awards! 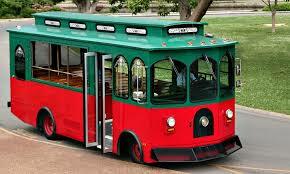 Trolley Tour of Multi-Family Units: This event is sure to be impressive. Last year the event included a mix of some of the finest homes in Chicago. This year the event plans to tour the multi-family homes of some of the top developers in Chicago. Attendees will get the opportunity to rub elbows with some of Chicago’s top players as they travel from one location to the next in, you guessed it, a Trolly. The tour will wrap up with food and drinks in an open networking event. If you are looking to hear about how the developers put their Once In a Lifetime deals together, or just get the opportunity to mingle with top builders, realtors, title company agents, attorneys, and subcontractors that Chicago has to offer, this is the place to be. 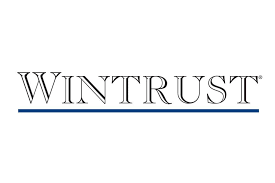 Wintrust – Octoberfest – Wintrust will be hosting a Night Out on The Roof Top event with the HBAGC. You may not know it, but Wintrust has one of the best rooftops in Chicago. If you are going to make it to one rooftop event this year before the weather gets cold, you will want to make it to this one. This event will be open networking style. Those of you that are “know it alls” and only looking to make better connections, this is for you. 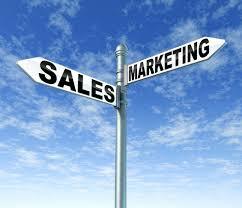 Sales and Marketing – The sales and marketing committee has begun a rebirth in Chicago this spring. The group consists of members from three builders associations; HBAGC, NIHBA and SSHBA. 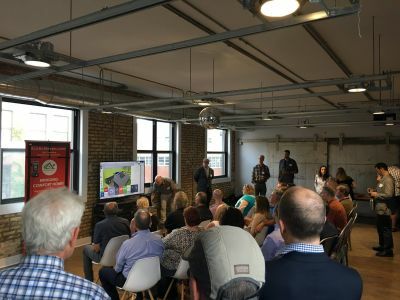 The group plans to host a variety of events to help boost the knowledge that successful builders and contractors are doing to win in their industry. If you go to these events, plan on participating and sharing your knowledge too. Be on the look out for dates and locations for the next event, Sales and Marketing Speed Networking. We plan to dissect the topics most frequently brought up and give everyone a chance to hear the best used options to get and keep more leads. Key Awards – The cream of the crop is coming this November. For those of you that do not know the Key Awards is the one event you want to be at. It is the yearly Gala for the HBAGC, but it is most importantly a night of recognition for your hard work and efforts. Key Awards are given to architects, builders and contractors with top homes in their respective categories. HBAGC will also be hosting many other small events over the next few months. Keep your eyes and ears open for an event in your area and stop by to meet some of the best builders in the Nation.